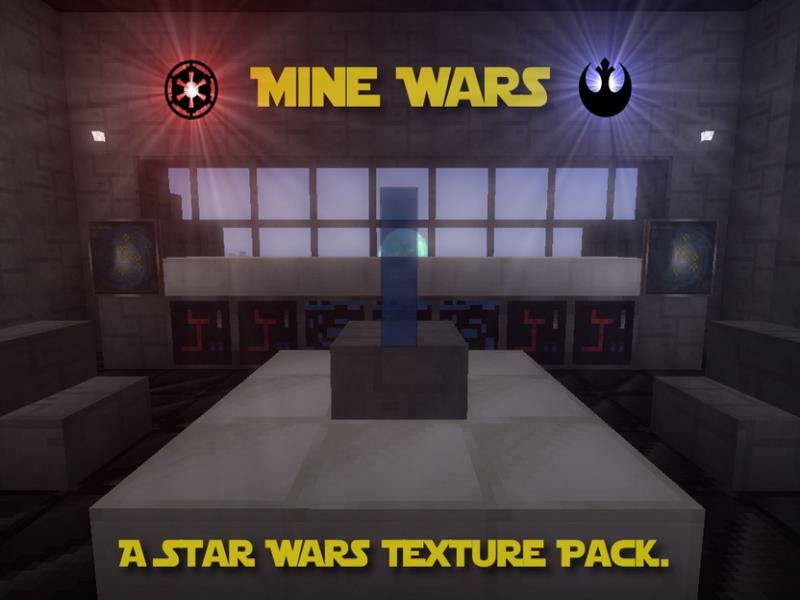 The Mine Wars Texture Pack is a mod for Minecraft that allows any player to convert their in-game environment into a Star Wars themed paradise. This mod modifies the entire game, so it is necessary, of course, to keep the original files intact. This way, in case you want to undo the changes you will be able to without losing anything. Not only does this mod include amazing new textures and replacements for old ones, it also has multiple new additions. This includes content such as lightsabers, Star Wars technology and much more. However, installing this mod also improves Minecraft overall by repairing some of the bugs that the game has and which can negatively affect the gameplay. This mod is great if you enjoyed the Star Wars movie due to the accuracy of the items that it contains. Every block in Minecraft and the entire HUD will be Star Wars themed, so you will really be immersed and feel as if you were in the movies. If that is not enough, you will now have the ability to rebuild your favorite buildings from the movie in your own game. This pack also has very high quality textures, which is normally hard to find when it comes to Minecraft texture packs. The tools in this mod pack are great to use, and this is especially true for the lightsabers and armor. The lightsabers come in multiple colors, exactly like the ones in the movies. This mod also happens to be a very stable one and will surely provide you with many hours of entertainment. One of the many great features of this mod is the fact that at night you can see the Death Star roaming in the sky. Then during the day instead of just one having the standard one sun in the sky, you get to view two! This pack also replaces most sounds, which means that everything will sound a lot more like something from a science fiction movie than the original files. Yet the sounds are worth it since they just add to the immersion and effects of this texture pack.